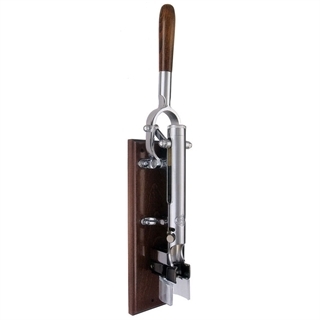 This professional corkscrew can use two difference worms/screws, one for use primarily with natural corks, and one for synthetic corks - both types are supplied, one fitted and one spare. 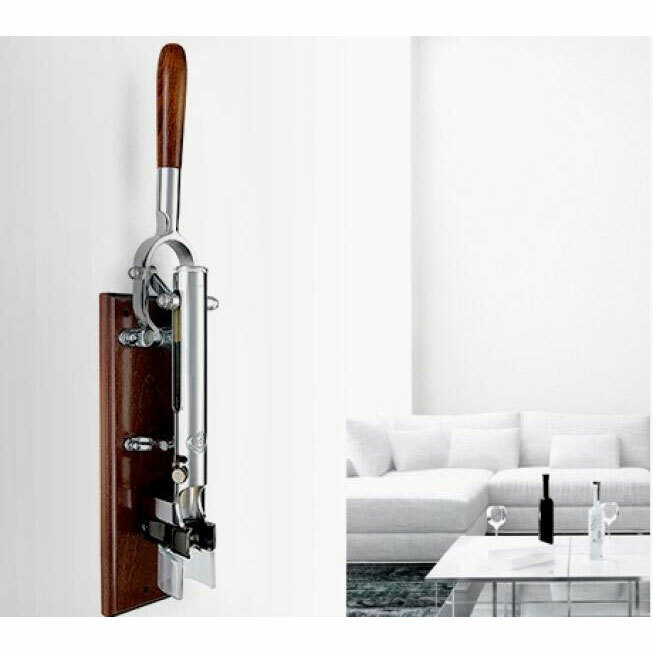 A traditional heavy-duty corkscrew, manufactured in a chrome plated finish, and supplied mounted on a wooden backing board. The bottle is anchored in position whilst a lowering and raising of the wooden handle successfully pierces and withdraws the cork. As the wood is a natural product, the colour may vary from piece to piece and may not be exactly the same as the image shows.